National park bosses are urging walkers and mountaineers to check a dedicated weather service before heading for the hills. Reports from the Lake District’s two felltop assessors began this week on the national park’s Weatherline. Graham Uney and Jon Bennett take turns to make the ascent of England’s third-highest mountain Helvellyn each day during winter to provide real-life reports of ground conditions, avalanche risk, temperature and wind speed. Running from December to Easter, the two mountaineers brave rain, snow and windchill as low as -16C. Mr Uney is returning for a second season, and long-standing assessor Mr Bennett is in his eighth year. In addition to his felltop assessor role this season Graham Uney will be running a one-day winter-skills course for walkers looking to learn the basics of how to use an ice-axe and crampons. He said: “Taking a walk in the mountains during winter is a magical experience, but once temperatures drop and ice and snow become an unknown factor, it’s important more than ever to make sure you are fully prepared before heading out to the hills. 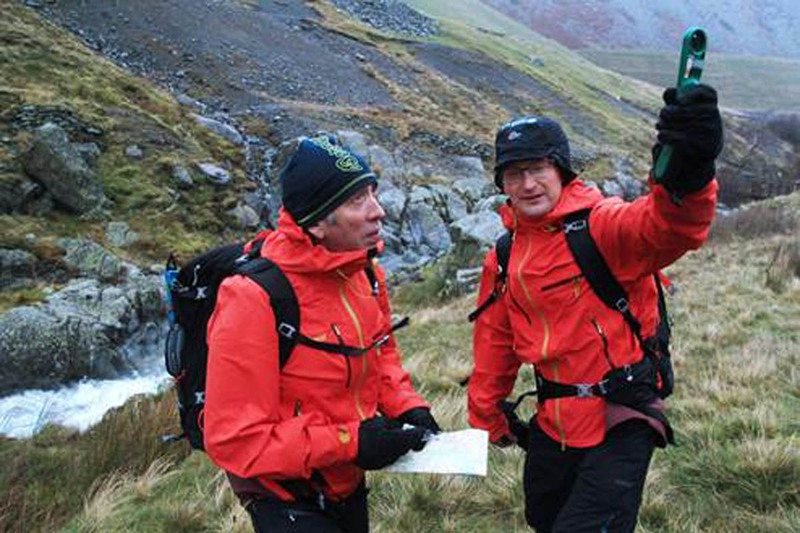 A fell top assessor’s nine-day shift is equivalent to reaching higher than Everest’s summit. The phone and online service helps protect 15 million visitors and locals from conditions that can change rapidly and fatally on the fells.